Great post. 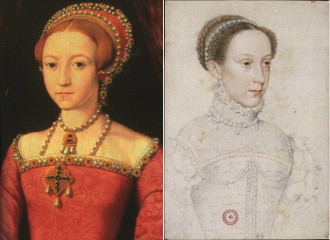 According to Jane Dunn’s joint biography of Elizabeth and Mary, the women Mary observed in France were actually more influential than any of the stepmothers that Elizabeth could observe. 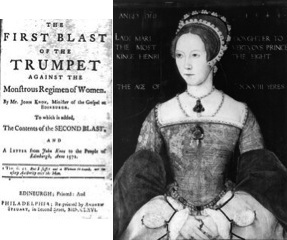 David Starkey has suggested that Catherine Parr’s stint as regent had an effect on the young Elizabeth …. IMO, this. 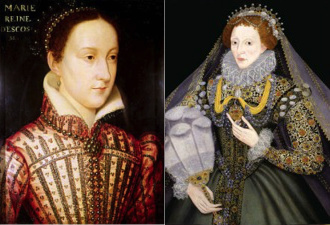 combined with what Elizabeth would have heard, if not seen, during her sister’s reign, taught Elizabeth that women could exercise power, just like men, but only in the absence of a husband. Mary, OTOH, learned in France that women exercise power by virtue of their influence on the king … so a husband was essential to a woman who wanted to exercise power.